But a look at Awlaki's statements and connections during his time at the northern Virginia mosque shows that, at best, Malik's characterization was misinformed as to the facts. 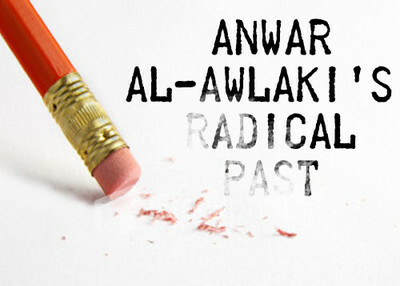 While at Dar Al-Hijrah, a mosque with a history of leadership tied to terrorists, Awlaki made statements that endorsed terrorism and defended the 9/11 hijackers. That's an odd claim, since it had been more than three years since Osama bin Laden issued a fatwa saying that "to kill the Americans and their allies -- civilians and military -- is an individual duty for every Muslim who can do it in any country in which it is possible to do it." "I made a statement that we do support the Palestinian resistance...The so-called Israeli settlers are not civilian population. They are military reserves, they are armed, trained and dangerous. They invade the Palestinian neighborhoods at night and squander everything. They kill, maim, and destroy homes. If I were there, I would use every power in my hand to defend my family." More than simple pro-terrorist rhetoric, elements of Dar Al-Hijrah's leadership and membership have provided financial and logistical support to terrorist organizations. Records from the successful prosecution of the Holy Land Foundation for Relief and Development show that Abdulhaleem Al-Ashqar, a former member of Dar Al-Hijrah's Board of Trustees convicted of contempt and obstruction of justice, organized a 1993 meeting of Hamas members and sympathizers in Philadelphia. He was also the director of the Hamas-linked Al Aqsa Educational Fund. Likewise, Ismail Elbarasse, a founder of Dar Al-Hijrah, worked for Hamas leader Mousa Abu Marzook and wired $735,000 to Hamas operative Mohammad Salah. All of these facts contradict Malik's assertion that Anwar Al Awlaki was a moderate during his time at Dar Al-Hijrah, or that the mosque is free from violent rhetoric that leads to radicalism. If connections to 9/11 hijackers, praise for Hamas and ties to terrorist support mechanisms are considered moderate, it's fair to ask what Malik considers to be extreme. . Detailed report. Thank you for your service to our country! We need to let others know exactly what is happening in muslim communities and their practices, specially of TAQIYYA, RABAT (NYC mosque) and agreements and treaties entered in the 'SPIRIT OF HUDAIBIA'. Wanting to be fair and tolerant, we are exposing ourselves to true diabolic practices, not unlike the MAFIA, and NAZISM. The sad part is that we haven't realized it yet. But with your help, we will, I pray that it will not be too late. I recently heard and ex-muslim say the islam must CHANGE or be CRUSHED. As things are now, and from what I learn and hear every day, CRUSHED sounds good to me!